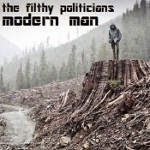 This track from the Modern Man album by the filthy politicians echoes much of the wisdom expressed in the recently featured video Earth: Land Is Life. The song argues that our modern notions of "progress" have led us far off track from relationships with the human and non-human animals around us. It ends in a call to fight on the side of life and resist civilization and its destruction. Truly music for a culture of resistance. Listen to this track and read the lyrics below, and hear more songs at the filthy politicians on bandcamp and at the filthy politicians on soundcloud. how we don't hear it? 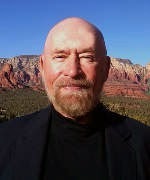 In 2007, David Fridley of Lawrence Berkeley Labs and San Francisco Oil Awareness presented a well researched and thorough debunking of the idea that biofuels are sustainable, environmentally friendly, good for farmers, or a path to energy independence. Fridley and his audience approach the issue from an industrial-human-centric standpoint concerned about peak oil, rather than from a holistic earth-centric and anti-civilization perspective, but his presentation is excellent for what it is. This is a great way to get up to speed on the dramatic, across the board problems and limitations of biofuels. The March 25, 2013 episode of Liberation Radio focused on the war in Iraq, in commemoration of the 10 year anniversary of the US invasion. Alla Baker shares her perspective moving from Iraq to the US and feeling shocked by the ignorance people displayed of conditions in Iraq, and especially of the effects of US imperialism in other countries. Kevin Baker (no relation) describes some of the horrific aftermath in Iraq, and presents the March Forward campaign to help active service members resist deployment. Mike Prysner, a veteran of the initial 2003 invasion, provides an outstanding analysis of the war. He begins by recapping the lies, now well known, about the US mission in Iraq, fed to young service members and citizens in general to justify the invasion. Less often heard is the story of radicalization of soldiers on the ground. The reality of serving on a violent occupation force and the daily contradictions with the official US story led Prysner and others to the understanding that Iraqi resistance is fully justified. From there, they came to realise that this invasion was not a mistake led by a specific administration gone mad, but that the entire system of capitalism depends on such wars, and that the US soldiers sent to secure foreign resources and markets for American interests have more in common with the Iraqi people than they do with those who direct and profit from the invasions. Though this is an old episode, it has a lot of value in its retrospective analysis. Listen below, or browse all Liberation Radio episodes. In a thematic follow-up to the interview with Culum Brown, Derrick Jensen's August 17 Resistance Radio episode features Con Slobodchikoff. Slobodchikoff studies Gunnison's Prairie Dogs as a model for understanding animal language, and shares some delightful and amazing observations on the complexity of their relationships and communication. For example, the prairie dogs can tell each other the equivalent of "Here is a tall thin human walking slowly wearing a blue shirt coming towards us." Listen to this important and enjoyable interview below, play the interview at the Deep Green Resistance Youtube Channel, or visit the website for Con Slobodchikoff's book Chasing Dr. Doolittle: Learning the Language of Animals. Browse all of Derrick Jensen's Resistance Radio episodes.